Netball coach Jane Banda from Malawi serves with Sports Friends, an SIM ministry that uses sports as a tool for transforming lives with the gospel. Netball coach Jane Banda serves with Sports Friends, a SIM ministry that uses sports as a tool for transforming lives with the gospel. 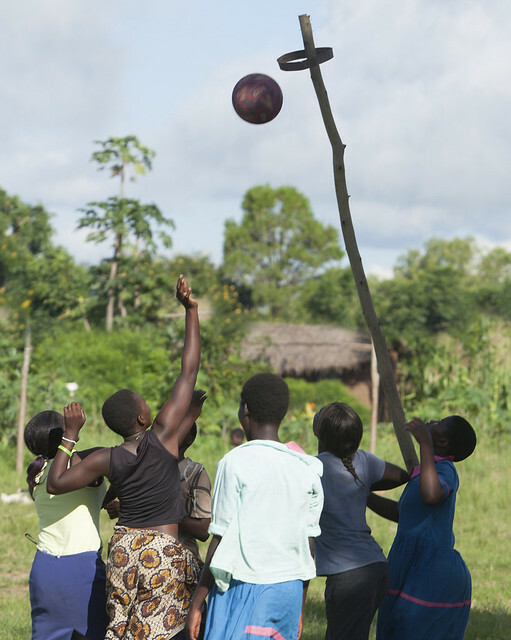 She is from Malawi, where many Christians would never dream of using sports as a ministry tool. One day Jane’s local church introduced Sports Friends Malawi. Jane had stopped playing netball, because it was causing disunity with her parents. They believed that allowing a girl to participate in competitive sports would eventually result in losing her, perhaps to prostitution. Sports Friends Malawi was able to give them new information, and they decided to allow Jane to participate in sports. Now she is one of their most reliable netball coaches, and leads her local church-centred netball team. Many children love Jane and her sports ministry. Several of the girls she coaches have given their lives to Christ, and are part of the church. Her parents are happy now because she is being used to reach the community for Christ. Jane’s story reminds her of the Scripture that says, “The stone rejected by a builder one day became the cornerstone.” Sports, which was considered useless and could lead to bad behaviour, is now seen as a great tool to help with life change! Indeed Jane is a tool in the hands of God. She is now more active in her church and is making an impact in her family. She also has the joy of seeing members of the community come to faith. Dr. Bode Olanrewaju is a veterinary doctor and missionary with Calvary Ministries, Nigeria, (CAPRO). 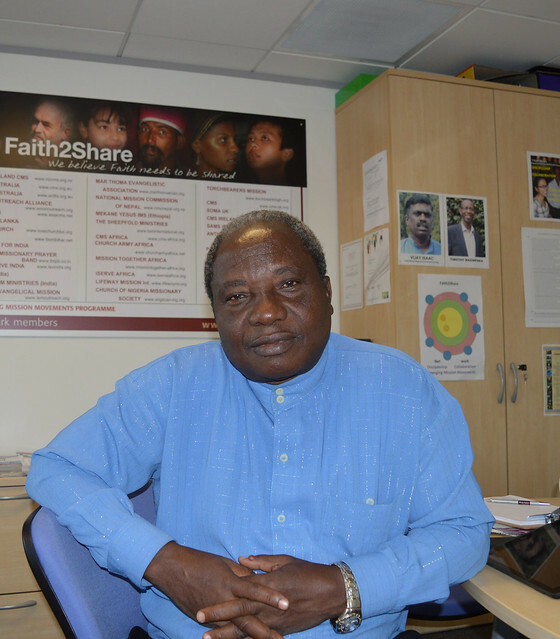 He uses his profession to reach those who have been closed to the gospel in Northern Nigeria. It is a great honour to use the skills of veterinary medicine to serve the materially poor, whose livelihoods revolve around livestock. It has enabled me to model Christ’s love and compassion in a tangible way. My veterinary help to the Fulani people is a bridge to start conversations, as barriers of mistrust and negative stereotypes are broken down. Everyone responds to love, if we can only strike the chord in their hearts. Fulani hearts are reached as we care for their herds. Almost every rural household has a chicken. In fact, chickens have been described as the ATM of the poor. But when diseases hit, flocks and herds are decimated.So we train indigenous people and missionaries as community vaccinators. This has given us greater access to households, and has improved goodwill. Some share very intimate details about their lives as they see the love of Christ demonstrated. Testimonies such as, “I paid my children’s school fees by selling local chickens” abound among those benefitting from the programme supported by Tearfund UK, our longterm partner. The improvement in local chicken production has resulted in improved livelihoods. A Muslim who refused to even greet an indigenous missionary changed his mind when he saw that the chickens vaccinated by the missionary did not die during outbreaks of disease. He came and asked us to vaccinate his flocks! Today veterinarians, doctors, IT specialists and others are desperately needed to use their skills to support church planters, and provide relief to communities ravaged with poverty. Even a short engagement in mission could make a huge difference. Rev. Edwin B. Fussi is a full-time missionary, with a business background. Before going to missionary training school and starting work among an unreached group in Tanzania, he owned a small shop. When my family arrived in the community where we serve it was 99.9 per cent Muslim. There were many barriers to the gospel: we experienced rejection, insults and ridicule. I was introduced to the villagers as a Christian religious teacher, and in some areas as a pastor. Our strategy was door-to-door evangelism, but the community rejected us. The youth ran when they saw us, afraid we were government spies. The mosque leaders warned others to avoid us because we would convert them to Christianity. Some people said, “You have your religion, and we have ours.” We prayed and waited on the Lord. There were other challenges too. When our sending churches did not see results, they slowly started reducing their financial support. And some of the prayer group members left. I began to think it was better to quit – after all, I could preach and share the gospel at home, as well as running my business. “Thank you, Lord. I know how to run a business. Is it possible to start a business here, and continue to reach the goals?” With a small amount of capital, I set up a shop, where I sell solar panels and drinks. I charge phones and batteries and have a haircutting salon. After a few months, I made many friends. The villagers stopped thinking of us as enemies. There was no electricity, but they could charge their phones or buy a small solar power system at my shop. 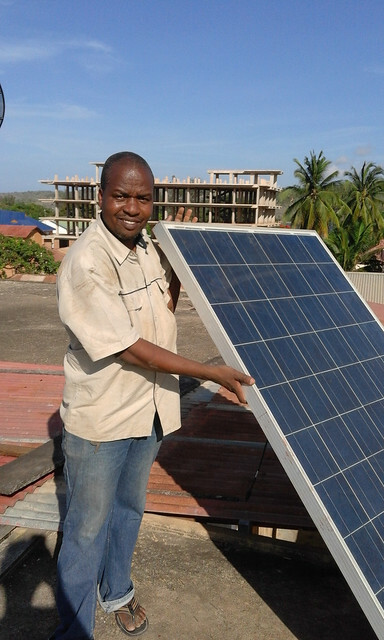 The mosque leaders told me they wanted to buy a solar power system and they wanted me to install it. So I did this, and put Scripture verses in all the bulbs I installed. Running a business removed many of the barriers we had faced, and helped us build a strong bridge to reach the tribes in our area. Architect Titus Oludotun Kumapayi is the Director for Mission and Evangelism for the Church of Nigeria Society, Anglican Communion. He has an architectural firm in Ibadan, where he lives with his wife, Margaret. In 1991, during a training session at Haggai Institute in Singapore, I had the conviction not to take church ordination but to sit at my architectural table and use my training for evangelism, soul winning and discipleship. So in my office each day began with 30 minutes of prayer and Bible exposition. As the fellowship grew, some of the staff members came to me seeking counsel about their choice of career and spouse. Before long the impact of the staff fellowship started rubbing off on the workers in terms of their commitment to duty and supervision of projects. The firm started attracting Christians who desired the best for their projects. Once, when we were supervising a government project, one of the builders from the Islamic faith approached me and commented about the grace and poise with which our work is carried out. There and then he opted to give his life to Jesus. This converted Muslim now serves as a deacon in a local church. As the pulpit is to the ordained minister, so is the workplace to a Christian professional. A professional can be anointed to serve his environment for the growth of the kingdom of Jesus Christ. Occasionally I tell people that the real job is soul winning and discipleship, while the architectural work is part-time.